One of my food purveyors delivered a case of peaches today from which these two come. Perfect, I thought (or likely said aloud) as I opened the case. I took one and bit in and sweet nectar ran down my chin. 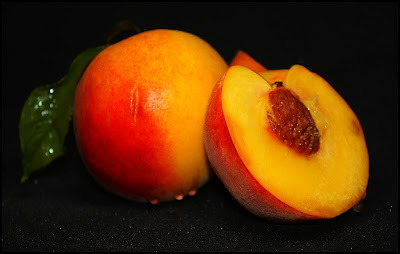 In some instances, such as this, I also thought to myself, I could not create a recipe using these peaches that would improve them. They are perfect as is. No recipe needed. Mother nature is amazing. I just felt like saying this and sharing the photos. And of fair weather, summer, dew, peace. I agree, there are very few things as good as a ripe peach - it is wonderful to live here in Niagara - the peaches are fantastic. I had some wild plums yesterday that were wonderful too. 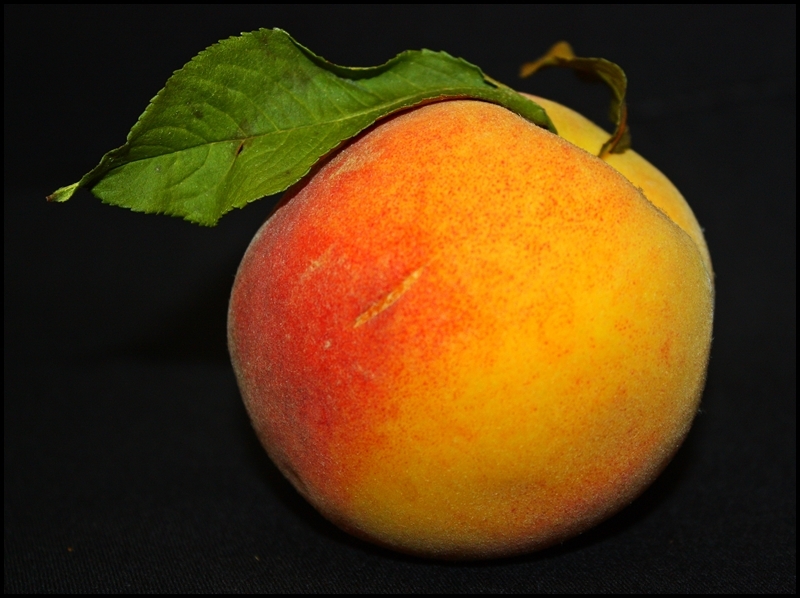 Oh, how I love peaches. Too bad this is so expensive here in our place. Dan...yes, they are really good, and we are lucky to live in our region. Felix, what area of the world do you reside?